The Lexus LS is one of the most versatile models from the manufacturer, demonstrating a perfect blend of elegant design and consistently high performance. 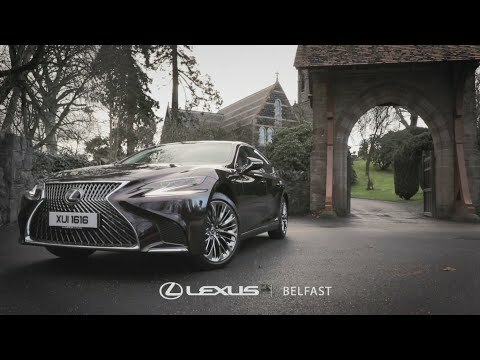 As the flagship Lexus Hybrid saloon, the first luxury hybrid of its kind, the LS 600h L offers drivers a refined driving experience and substantial economy. The model will reach 60mph from a standing start in just 6.3 seconds, and has the potential to achieve a maximum speed of 155mph. A comprehensive list of standard electronic assistances for the LS 600h L includes braking and traction controls, stability aids and powerful steering support for even more agile handling and cornering. A petrol engine and two Hybrid Synergy Drive electric motors operate in harmony within the LS 600h L, supported by a CVT gearbox. As you'd expect from a hybrid, the vehicle's fuel consumption is consistently low, and it runs solely on electrical power at lower speeds to conserve petrol. The engine reactivates seamlessly when accelerating, combining with the motor to deliver exceptional and reliable power. Instantly recognisable as a Lexus, the sculpted and dynamic body of the vehicle incorporates energy-saving LED lights and seven-spoke alloy wheels. The range of paintwork colours offered for the model includes more subtle shades and brighter metallics to match the personality of the driver. Available in two wheelbase lengths, the LS 600h L has a strong yet reserved presence on the road and a streamlined profile that reduces wind resistance. The bespoke style of the LS 600h L continues throughout the cabin, and the interior is fully upholstered in high-quality leather for enclosed comfort and relaxation. Lexus has additionally equipped the model with a range of state-of-the-art technologies, including a multifunction control panel with a 7-inch touch-screen, intelligent parking assistance, built-in Shiatsu massage functions for the passenger and driver seating and multi-zone Climate Control. Naturally for a Lexus, the vehicle is incredibly safe and supportive, with advanced pre-crash safety systems and adaptive front lighting integrated with the other primary controls as standard. Available for test drive and demonstration at Charles Hurst Lexus, in Belfast. Simply call us, head to our Lexus Belfast showroom, or fill in an enquiry form and we can arrange a test drive for you.